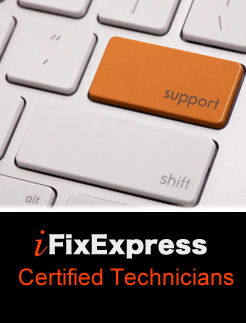 Your one step away from the iFixExpress fast, professional home, office, or hotel room on site repair, support service. Call it private health for your Apple product, call it the help when you need it most, call it anything but “waiting around”! Our fully qualified skilled team of technicians are available daily to attend your home, office, hotel room and provide high quality support and repair solutions for your Mac, iPad, or iPhone in the comfort of your own home or place of business. Why wait days for appointments, stand in long queues, or sitting around in a shop waiting for your time slot. Why not have our iFixExpress ® Certified Technicians come to you anywhere in London, Essex, and Kent and have your iPhone, iPad, iPod, or Mac repair undertaken at your convenience. Our Mobile iPhone, iPad, and Mac repair service is first class, and most of all we do not charge a call out fee. The price you pay is the same price you would pay at our base. We only provide quality mobile Macbook, iMac, iPhone, iPad, iPad mini repairs. Are engineers are on hand daily for a truly first class mobile repair of your Apple item. For the ultimate in repair response, try us today for Mobile iPhone, iPad, and Mac repair in London, and Essex.